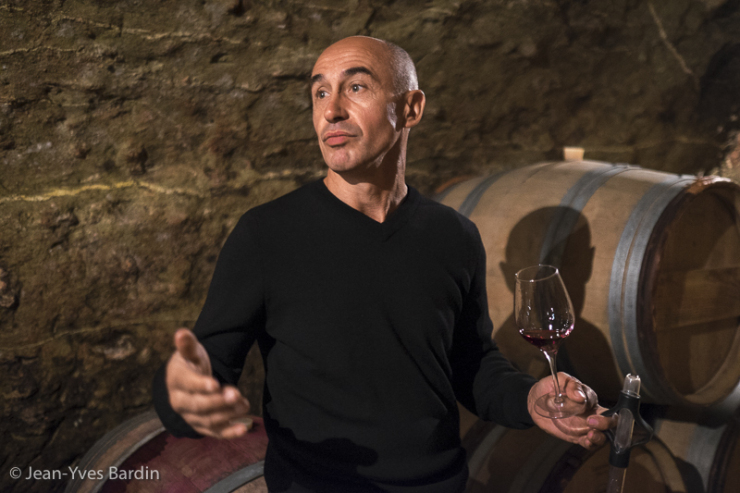 It is not an accident that in a relatively short amount of time Stéphane Erissé has been able to put together such a compelling range of wines from Saint-Georges-sur-Layon. Far from being a career winemaker, Stéphane was a builder for 15 years before he decided to switch gears in 2008. Fortunately for him, he knew exactly who to call for a wine apprenticeship. Stéphane spent the next three years under Antoine Foucault at Domaine du Collier and that being his only “experience” before setting out on his own, it deeply informs his approach. When the time came to find vineyards, Stéphane selected three hectares from a grower who had been organic for over twenty-five years. Many of the parcels are of old vines. He also insisted on staying small, only working with three hectares, so he could have a direct connection to all of his farming.